It's been 84 years... and the contest results are finally in. Due to the nature of it being 6 months since the contest, we are doing something quite special as a reward... EVERYONE WINS! Congratulations to everyone who has participated, enjoy the stars! For those of you who were fans of the Survival Halloween Contest town, we have another in store, but with a snowy twist! There will be two holiday events this time around, one on Christmas day, and on New Years, so be sure to complete your build before the deadline of Dec. 31st! The better the town, the better the prizes! 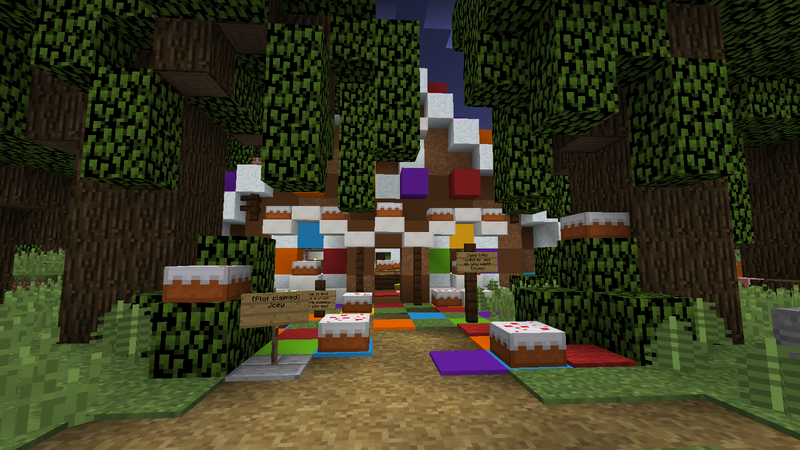 Participants recieve one star and special holiday head upon completion of their contest build! Our theme is the holiday season! 2. Don't destroy your plot sign, but if you want it moved to a different location, notify staff. Festive—This is for builders who fancy holiday specific designs, so show your festive colors and make a scene full of Christmas spirit! Snowy—This is for builders who take a creative look at the winter theme and devise a frozen scene full of the great outdoors! Cozy—For all you cabin builders out there, this is your chance to build something rustic enough to make anyone want to spend the night by the fire! Cute—Here's a category for all you who are as sweet as cookies and milk and want to make some cute holiday sculptures! Remember, the style of your build is a factor so be sure to use appropriate blocks for the kind of category you decide to pursue. Quality of interior, exterior, materials, and style will help you achieve higher marks, and by improving the town you will not only qualify for category prizes but you'll also benefit from the Christmas and New Years events. If you want your plot extended, contact staff for consideration. Have fun, and happy holidays to everyone! 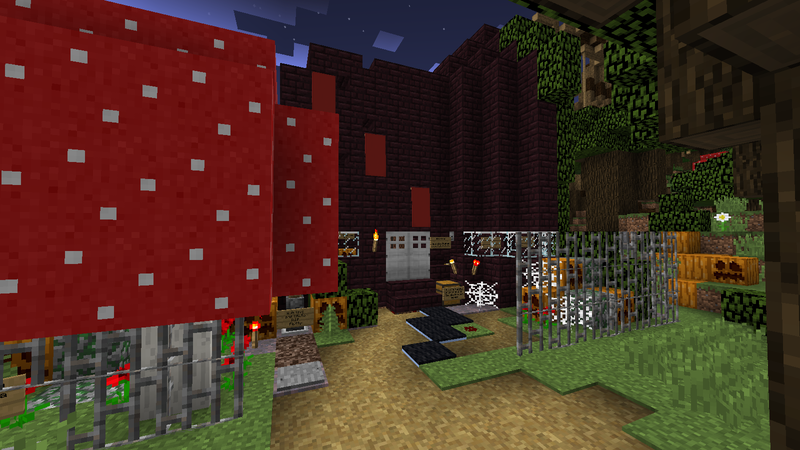 Thank you to everyone who participated in our Halloween Haunted House Town! BuildatNight has gained yet another wonderful town, and it's all due to all of those who paritcipated. Special thanks to all our staff members for setting up the town! Remember, everyone who participates in contests has a chance to win stars, the super fun currency (but I like to call them "Trey Tokens") that allow players to get custom heads, exclusive color text, and unobtainable spawn eggs! 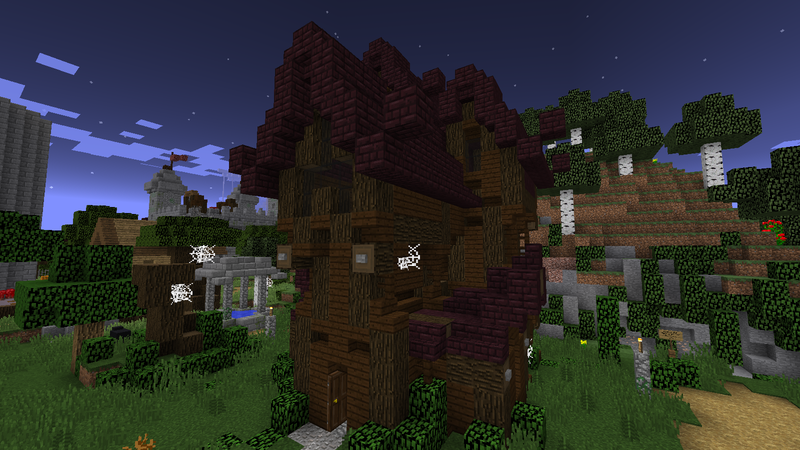 First off, our Community Favorite house and winner of the Scary Category! Thank you again to everyone who helped make our Halloween town an enjoyable experience, and for putting forth the effort, time, and resources into creating such wonderful houses! There were so many great entries to choose from, and it was tough to break the ties for sure. Keep watch for our upcoming contests, whenever they may happen to be!